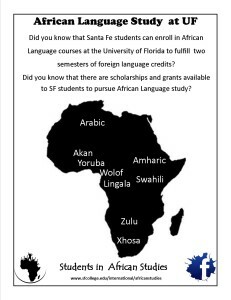 A wide range of internet resources make it easy to integrate Africa-related content into existing courses and studies at Santa Fe. 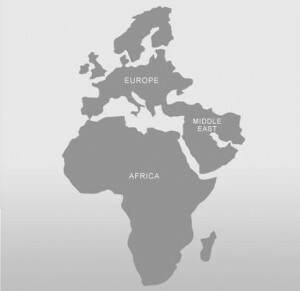 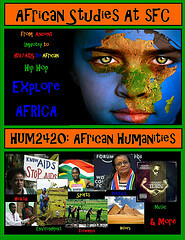 Several online teaching guides offer ready-made lessons and instructional content that assist educators in incorporating Africa-related content into their existing teaching regiment, and the guides can also provide students with educational materials to develop Africa-related presentations as class assignments. 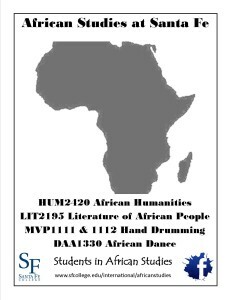 Online bibliographic databases, including Africa-related study guides developed by the Tyree Library, provide a comprehensive body of literature to help students and faculty launch Africa-related research. 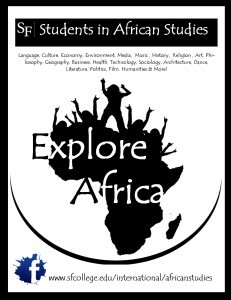 Documentary and drama films can bring Africa into the classroom and help students develop a more nuanced understanding of the unique circumstances experiences by people connected to Africa, and digital maps can illustrate spatial patterns that shape life on the African continent.